Over the week of Jan. 24-30, the Outdoor Retailer + Snow Show was held in Denver and at Copper Mountain, Colorado. This marked the first time in almost 30 years that OR and the SnowSports Industries America (SIA) Snow Show were held under one banner. The trade show was held at the Colorado Convention Center from Jan. 25-28, and the on-snow demo day was held at Copper Mountain on Jan. 29-30. 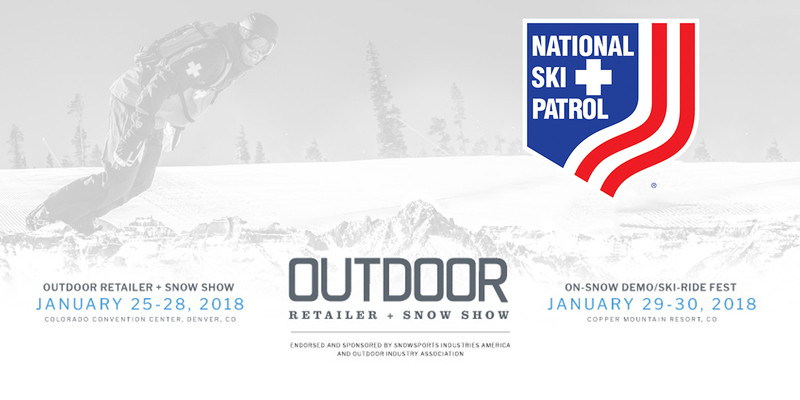 In 2017, in response to concerns over efforts by Utah politicians to reduce or eliminate some public lands, including the new Bears Ears National Monument, the Outdoor Industry Association (OIA) announced that it would move the Outdoor Retailer show, eventually choosing Denver and deciding to combine OR with the SIA Snow Show. The OR show annually brought approximately 40,000 visitors and $45 million to Salt Lake City each year with its winter and summer shows. Colorado Governor John Hickenlooper quickly put forth Colorado as a better alternative, and Conservation Colorado even ran an ad in the Utah newspapers touting Colorado’s commitment to public lands as just one reason to move the show to Denver. Attendees to the Outdoor Retailer + Snow Show believed the event was an overwhelming success. The floor plan sold out in November 2017, and the entire event felt busy. Over 11,000 buyers alone attended, and there were over 1,000 brands represented. The welcome breakfast on Thursday was held in the Bellco Theater and had approximately 1,000 people in attendance. The NSP had a booth at the trade show in the nonprofit area with organizations like the Professional Ski Instructors of America/American Association of Snowboard Instructors, Learn to Ski and Snowboard Month, the High Fives Foundation, and more. Industry people frequently stopped by to learn about the NSP 80th Anniversary celebration and more. Representatives from the NSP marketing team met with many current NSP partners on the main trade show floor, and also scoped out potential new partners. Education opportunities abounded during the trade show. The environmental aspect of OR was clearly a big thread during the event, weaving its way into several different seminars. NSP staffers frequently had to take a “divide and conquer” approach to attend the sessions and bring back the important information to their departments. Below is a day-by-day breakdown of just a few of the sessions that NSP staff attended. 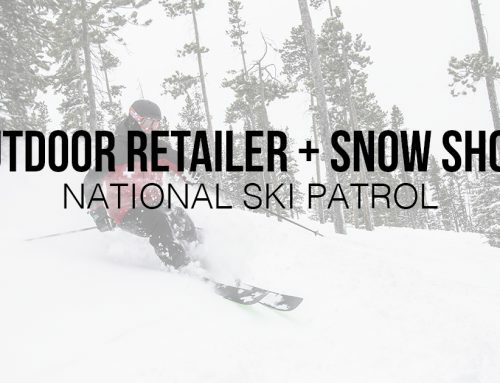 Overall, the first Outdoor Retailer + Snow Show held in Denver was a rousing success that presents many opportunities for NSP staff to work on industry efforts related to the NSP’s mission. One point Molina raised is the impact climate change will on the entire industry, discussing how climate variability includes unpredictable snowfall and shorter winters. Roberts echoed that message, stating that it makes it harder for retailers, and that we are seeing effects in the summer as glaciers and rivers shrink and high mountain activities become more dangerous and paddling becomes more unpredictable. 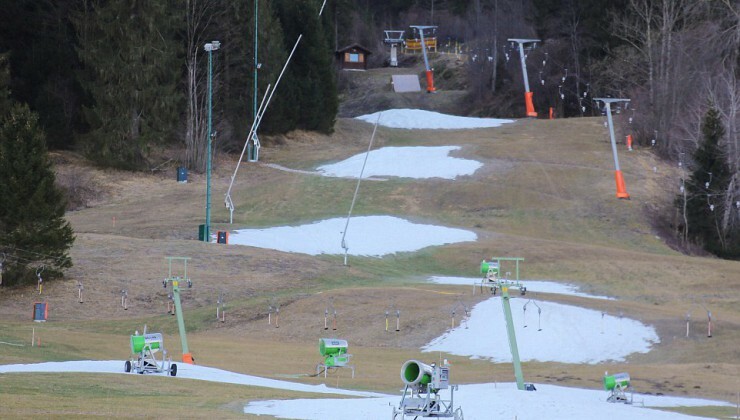 Steinkamp also brought up the point that the shorter winters will lead to reduced participation in snow sports down the road as kids don’t get out to ski year after year. The keynote talk Wednesday featured Vail Resorts CEO Rob Katz, who emphasized that innovation often comes from being willing to take risks. He focused on some of the decisions that were made by Vail Resorts that appeared very risky at the time, generating significant pushback, that ultimately proved to be innovative and rewarding. One example was Vail’s introduction of the Epic Pass. Steve Berlack of the BRASS Foundation gave this presentation. Berlack is the father of Ronnie Berlack, a former member of the U.S. Ski Team who died in avalanche in Austria that also killed his teammate, Bryce Astle. He showed a powerful video that recreated the incident that killed Astle and Berlack and discussed the concept of partnering with both manufacturers and resorts to push basic avalanche education. At the Thursday breakfast welcome, Governor Hickenlooper spoke briefly about the joining of SIA and OR and Colorado’s efforts at fighting climate change, while Roberts addressed the importance of keeping protections for public lands. She also mentioned that OR would be partnering with Protect Our Winters and SIA to broaden efforts to combat climate change. Use regenerative agriculture that don’t destroy soil. Educate girls, as educated women have fewer children. The afternoon keynote lunch was a panel discussion regarding attitudes on conservation in the West, based on the eighth annual “Conservation in the West Poll,” which survey public opinions on conservation issues in eight Western states: Arizona, Colorado, Idaho, Montana, Nevada, New Mexico, Utah, and Wyoming. The poll data was released that day. Lori Weigel of Public Opinion Strategies. The poll found that conservation is a very bipartisan issue, with 64 percent believing that government should emphasize protecting “sources of clean water, our air quality, and wildlife habitat, while providing opportunities to visit and recreate on our national public lands,” rather than on producing more domestic energy on public lands by making more land available for “responsible oil and gas drilling and mining.” Touching on the reasons OR left Utah, the poll found that 66 percent of voters believed it was a bad idea to reduce the size of two Utah National Monuments, Bears Ears and Grand Staircase Escalante. The polls also found a whopping 82 percent of voters in this region believe national monuments are economically beneficial for both nearby communities and states as a whole. The entire poll is available at https://www.coloradocollege.edu/other/stateoftherockies/conservationinthewest/2018/index.html. On Friday morning, there was a session on the trade show floor addressing how retail shops can encourage their customers to address climate change. The participants were representatives from three retail shops in the Denver area. Christa Nenaber of Patagonia Denver. On Friday afternoon, there was a panel discussion that more directly addressed the public lands issue and what the future of public lands looks like. 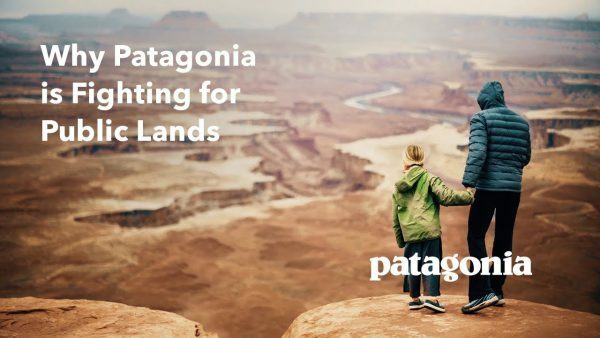 These were companies that all led the charge to fight the reduction of the national monuments in Utah, and ultimately pushed for the move of OR to Denver. This session looked how media can promote safety in the backcountry and was very much and audience participation session. Brackelsberg showed a UAC video, “To Hell in a Heartbeat,” that can be viewed on the UAC YouTube channel at https://www.youtube.com/watch?v=Py_zhaw9ce4. This video shows how going into the backcountry with people who have the proper gear and training led to a successful avalanche burial recovery in 2004 in Utah. 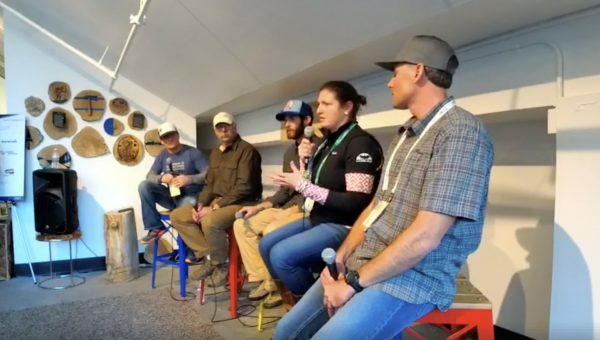 The panel discussion included and talked about how to use athletes to push the safety messaging about avalanches and all the preplanning that goes into the videos of them skiing big lines. It also talked about how to push out the message that people should share their near misses on social media, and the importance of withholding judgment to encourage this sharing of information. Also going on during the OR show as the concurrent Trade School in an art gallery adjacent to the Convention Center. This session discussed ski patrolling, including its history and the rewards, focusing on why people patrol. A video of this session is located on the Trade School Facebook page at https://www.facebook.com/SomethingIndependent/videos/1587820497921979/.